Sometimes people are having a bad day or get mad at something, and they blame those feelings or circumstances on someone else. If your significant other is constantly blaming you and saying you made a mistake or redirecting their aggression towards you all the time, something needs to change. They also will often build you up but blame everything on their previous relationship and put them down. Shifting the blame to others and not taking responsibility for anything that goes wrong is not healthy. Some people may feel that they are much more special than everyone else and deserve extra recognition or special treatment in an unreasonable manner. These people believe they should get everything and others should do everything for them. Because of that belief, they are often offended and disappointed that this does not happen. Being in a relationship with this type of person may mean that you will have to deal with someone always viewing their own feelings as much more important than yours. 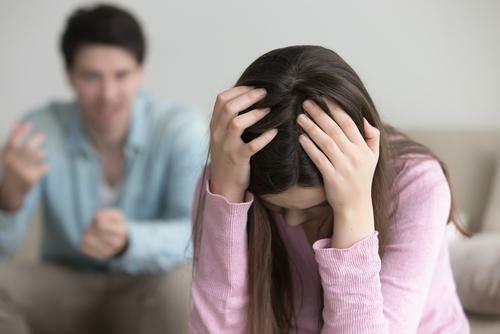 If you feel you are in an emotionally abusive relationship and need to initiate the divorce proceedings, the lawyers at Mevorah Law Offices, LLC can help. Our caring DuPage County family law attorneys will work hard for you to make sure your divorce is handled properly. If you would like to set up a free consultation, please contact us at 630-932-9100.